Imagery is of paramount importance on Pinterest. 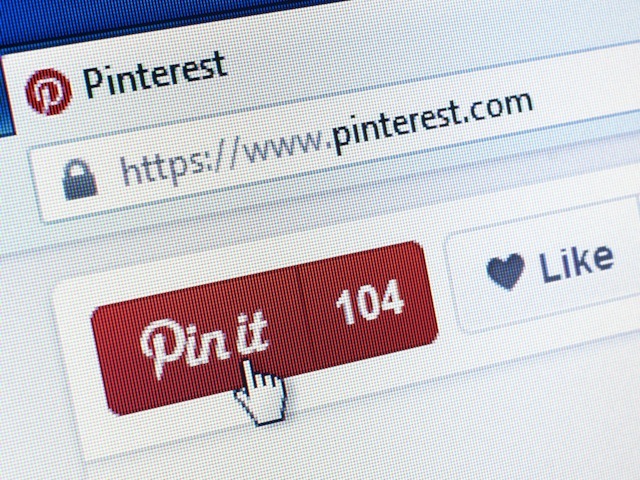 Here's what Pinterest suggests you do for eye-catching Pins. Pinterest is one of the hottest social platforms, both for advertisers and consumers right now, but it’s quite different from Facebook or Twitter. SocialTimes worked with Pinterest to figure out a guide for businesses looking to get started on the site. Businesses should create a business profile and confirm their website. Doing this adds the company logo to any Pins that come from that site and lets you see what people are Pinning from the website. Next, Pinterest recommends that you create a variety of boards, showcasing your company’s personality and taste. You don’t have to fill boards completely out immediately, but have enough Pins to entice fans. Give your boards clear names so people can tell what’s on them, but don’t be afraid to get creative–just keep it to 20 characters or less so it doesn’t get cut off. And don’t forget the description, which can inspire people to follow your boards and help you show up in searches. You can also use secret boards to add content to them before you’re ready to launch to the public. Pinterest noted that it’s best to place most relevant boards at the top, such as seasonal boards or boards with the most repins. You should Pin at least once a day so your followers get fresh content in their home feeds — but don’t limit it to just items from your site. Pinterest recommends that you partner with bloggers and lifestyle websites, Pinning their content as well. Engaging with other Pinners is a great strategy for engagement. You could also create a group board and invite people who love your products to contribute. When crafting a Pin, thoughtful descriptions will make content more inspiring (and most importantly) searchable. Pinterest also recommends that you add the Follow button on your website, as well as a Pinterest link in email signatures and social media posts. In-store signage would help, too. Use high-quality images. Make sure they’re well-composed and in focus. Go for taller Pins. Vertically-oriented Pins look better on mobile screens. Pins with multiple images can work well for Pinners looking for how- tos, but keep it to 4 images or fewer so it doesn’t look too crowded. Minimize the amount of text on an image. Make sure it’s easy to read on mobile screens. Words are important, too. Pinterest noted that each Pin should have a description that gives context. They should be positive, helping people picture what they could do with the product while providing more information. You should also use Rich Pins when possible, so useful details stay on the Pin as it gets repinned. With Rich Pins, people will automatically see key information such as price, availability, ingredients and location. All you need to do is add some meta tags to your website. Without a proper description, your awesome Pin may never be seen. Consider the way people search on Pinterest when writing Pin copy. Think about what people who are looking at a certain Pin might have searched for. Was it a sweater, or was it an argyle sweater? A blue sweater or a cashmere sweater? Mention the most compelling and distinct parts of the Pin in your description, and your Pins are more likely to surface when people get specific in searches. However, don’t just add a million hashtags and keywords. Pinterest recommends using the right search words, not just the most. Pinterest notes that your website may already be full of Pinnable content. The site recommends images that are at least 600 pixels wide, keeping in mind that only images that are at least 100 x 200 (or 200 x 100) pixels are able to be Pinned.